Ingersoll Rand offers a wide portfolio of oil-free products that will adapt to your industry and application. 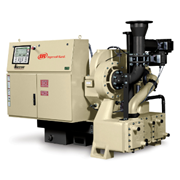 From the industry that requires large volumes of flow, to the industries with a fluctuating demand that requires the use of the Nirvana oil-free VSD compressor, Ingersoll Rand will assess and propose the best oil-free solution for your needs. Ingersoll Rand will offer his expertise also for the low pressure application. Refrigerated Dryers, Desiccant Dryers and Filters; Air quality can have a significant impact on compressed air systems. Properly treated compressed air, and the right air dryer, will improve productivity, system efficiency, and product or process quality. 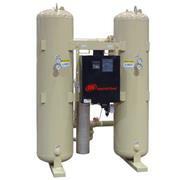 Choosing the appropriate air dryer and compressed air filter is very important. 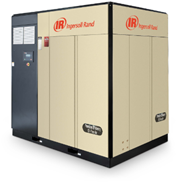 By choosing an Ingersoll Rand air dryer or compressed air filter, you are buying high quality treatment products that will enhance your entire air compressor system. An air dryer is an integral piece in your air treatment system, making Ingersoll Rand's wide knowledge and expertise in this field a key aspect to the success of your compressed air system. Ingersoll Rand has the widest selection of air treatment products and application knowledge to protect your investment and compressed air system. We have recently expanded our centrifugal compressor product offering with the acquisition of the former Centrifugal Compression division of Cameron International. With this acquisition, we broaden our portfolio to now include the TURBO-AIR® and MSG® compressor product lines in addition to our Centac brand. The addition of the TURBO-AIR and MSG compressors expands our market coverage to higher pressure, higher flow, and process gas compression applications.